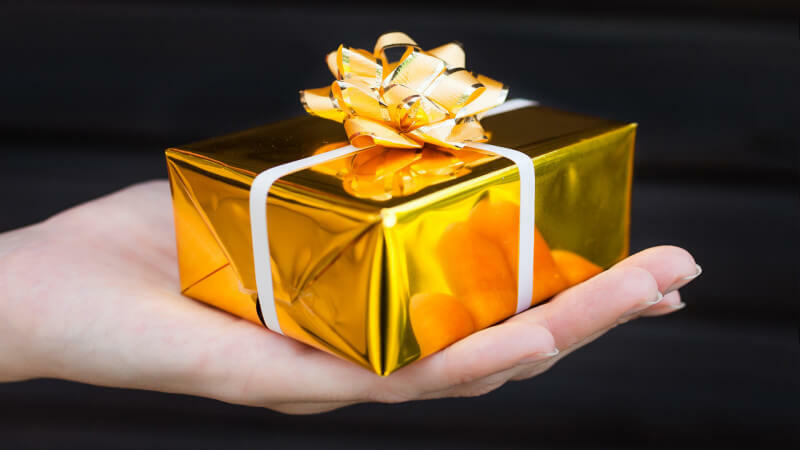 Time for local businesses to optimize for the holiday season. Columnist Chris Silver Smith provides 7 quick tips to boost rankings and, hopefully, sales. 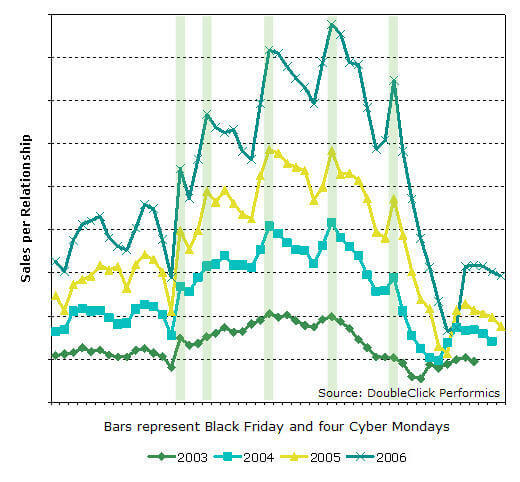 Is your local business ready for Black Friday and the Cyber Mondays after? The biggest shopping days of the year are coming up fast, but there are still things you can do to prepare and pump up your sales further. Here are a few Local SEO quick-hitters that can improve your performance in 2014. Everyone is aware of Black Friday — the day after Thanksgiving when tons of consumers go straight to their local stores to start shopping for the holiday season. The Monday after Thanksgiving has become one of the biggest online shopping days of the year — now known as Cyber Monday. Each Cyber Monday for the last four years has averaged an 18.25% increase over the year before. One could say that there are multiple “Cyber Mondays,” in fact, because each of the Mondays following the one after Thanksgiving tends to trend even higher through sometime in the middle of December. Cyber Mondays tell us something important beyond those being major sales days online — consumers are also performing research to find gifts in local stores and sources for holiday decorations, food, catering and more. So, stepping up your SEO game can still pay off this season. I’ve written tips before on optimizing for the holiday season, and, I’ve now updated and added some new tips for 2014. Some of these are quick-hitters, so even if everything isn’t perfect in your company’s Local SEO game, you can still get more juice out of this season if you can push a few more levers. Do a quick audit of your listings in online directories and correct any information that’s off. Business listings in online directories are one major source of Citations for Local SEO — Citations are mentions of a business’s name, location and contact information which Google uses as a measure of prominence. If your Citations out there have incorrect address info, nonstandard or incorrect name spellings, variant phone numbers, etcetera, then, you’re missing out on some of the ranking potential of your listing in local search. Correcting this stuff can give your listing an abrupt injection of ability to rank higher! There are various ways to detect these rogue listings, but one recently-developed method that impresses me has been developed by fellow Search Engine Land columnist Andrew Shotland. Download Andrew’s N.A.P. Hunter (“N.A.P.” stands for “Name, Address & Phone Number” — the basic building blocks of Citations) extension for the Google Chrome browser, and you’ll have a bit of Andrew’s brain in a box, helping you hunt down the things you may need to clean up. Obtain more directory listings. Pump up your local ranking potential more by insuring your listing is in more directories — this gets you more Citations which will augment your ability to rank well. Many local businesses have a very haphazard footprint in directories, so, if you’re one of those, see if you can expand to get more. In some cases, this can be accomplished pretty rapidly, while in other cases, the online directory publishing cycles may take a little longer. And then you also have to wait for Google and Bing to factor it in once they see the new information appearing. Even so, as soon as you appear in other directories, you will get the immediate benefit of getting more potential referrals from consumers who may be using those directories! To expedite this, use a company like Universal Business Listing (disclosure: I’m on the board of advisors for UBL, so I think they’re nifty! ), Neustar Localeze, Moz Local, or Advice Interactive’s Local Site Submit. Add/change categories. Check the existing categories your business is listed under in online directories — many businesses neglect to check this, and may be incorrectly categorized or may have neglected to be included in all the categories they could be. Either situation reduces their potential exposure to motivated buyers! Also, check out what I’ve written before about how optimizing your categories could double your traffic! Consider advertising in online yellow pages. According to some statistics, online business directories of many types have seen an upswing in their traffic this year, perhaps due to the Pigeon Update to Google’s algorithms which seemed to raise directories in search results for many keyword combinations. As I wrote in Post-Pigeon Best Practice: How To Optimize For Internet Yellow Pages, advertising could raise your visibility on many of these pages now that they are appearing prominently in local search — which might even have some effect upon SEO for your site. List products/services on your website. So many small business websites I examine are little more than a few pages with the business name, logo, photo, basic description and “Contact Us” information. If you’re in this boat, add pages to the site for “Products” and/or “Services”, and list out as many of the main things you sell along with brief descriptions of them, or why coming to you for them is better than going to the competition. In this way, you’ll introduce all of these valuable keywords in association with your business, enabling your site and content to appear much more frequently and prominently when local consumers search for those things. Also, don’t forget to mention the major brand names you may carry, and also mention on your homepage the names of each of the cities around your business from which customers could reasonably drive. Add customer reviews and endorsements onto your own site! This could provide a quick “stealth optimization” tactic to put you ahead of the competition over the holidays, because most local sites have not adopted this advantage. There are three ways that this can work, if it’s done right. When you add testimonials to your site, customers may become more inclined to choose you over the competition. The crowd-sourced text content in their reviews can expand the keyword phrases and relevancy signals associated with your company site, allowing it to appear more prominently in more search results important to your business. Sometimes, if marked up with structured data for reviews, this will add positively to the ratings score that Google displays about your company, and, under some circumstance, it has resulted in the addition of the rating stars to companies’ own sites, raising their visibility sharply in search results (which can also increase their click-through rates, thus indirectly improving their rankings). One excellent system that helps streamline the addition of properly-formatted endorsements to your site is GetFiveStars, developed by local search experts Mike Blumenthal and Don Campbell. Update your Meta Tag Description text to include seasonal messages and discount details! Offering attractive discounts on some popular items or services can attract consumers to your store where they are likely to buy more of everything else — offering Black Friday deals is one of the central strategies that pays off for stores. But, it can also pay off through the rest of the holiday season as well. Changing your Meta Tags to highlight a brief discount offer is a very quick way to perform some holiday advertising. Craft them carefully, though — the Meta Descriptions must still clearly convey what the page is about while including an offer blurb. It’s very easy to feel overwhelmed with all the many things you need to do or could do in optimizing your website for local search, but it’s important to remember that just doing a few modest tweaks can actually translate into a positive impact. So, incorporate one or more of these quick hits into your mix this holiday season, and may it bring you a lot of holiday cheer!